Recent transfer rumours have increased speculation about Manuel Neuer moving to the Premier League. The goalkeeper is a big favourite of manager Pep Guardiola, who has been in charge of Bayern Munich for the last three years. However, he has revealed his next destination to be Manchester City from the summer. Guardiola will be taking over from Manuel Pellegrini and this will be his first job in English football. City have an extremely competent goalkeeper in the form of Joe Hart, but his performances have not been great of late. He remains an extremely good shot stopper, but Guardiola will look for more ball playing abilities from his goalkeeper. What next for Ashley Young? Ashley Young had to undergo a groin surgery which has left him out of action since since January of the ongoing year. The return of the English winger is expected to be made around March but even when he is available to play along with the rest of his teammates, will he even get time on the pitch? Earlier in the season, when Ashley Young was fit and ready to play, he could never really find a consistent place in the starting lineup of Louis van Gaal, and was preferred as a 'Super Sub'. 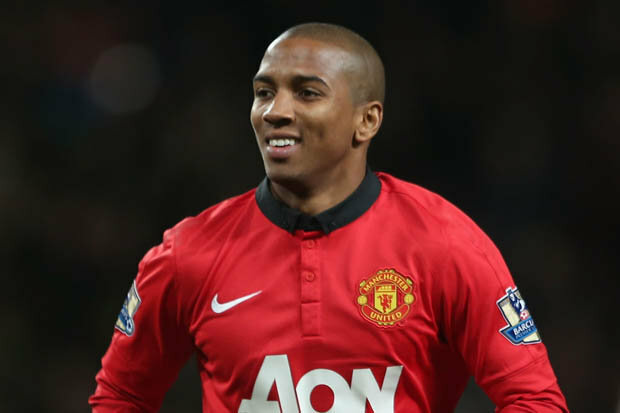 Read more about What next for Ashley Young? Louis van Gaal is the man that all or at least the majority of the blame of Manchester United’s recent downfall is being placed upon and the situation in Old Trafford is getting so intense that the Dutchman has already stated that if things don’t change soon and positive results start to emerge, then there is a possibility of him resigning from his managerial position in the Premier League club. However, according to the vice-captain of Manchester United, Michael Carrick believes that everyone should be blamed for this recent string of losses and everyone has to stick together instead of placing the blame only on 1 person. Former Swansea manager Michael Laudrup is no longer being considered as one of the candidates to take over the Denmark national team. The 51-year-old is regarded as one of the outstanding candidates available for the Danish national team. Laudrup enjoyed a remarkable playing career in which he represented the likes of Barcelona and Real Madrid. He has been less successful as a manager but not by a considerable margin. He has been in charge of several clubs in Spain, England, and even outside the top leagues in Europe. New Chelsea signing Abdul Baba Rahman has revealed that he spoke extensively with Ghanaian international Michael Essien before making the move to Stamford Bridge. Rahman has been rated as some of the brightest prospects in world football. It was not surprising that the London outfit decided to splash more than £ 20 million on the youngster. At just 21 years of age, he is not expected to go straight into the first-team. Instead, he will be competing for a first-team spot alongside Cesar Azpilicueta, who is naturally a right back. Manchester United showed tremendous potential to get back to their former heights towards the end of last season. Sky Sports pundit Gary Neville says that Manchester United certainly need Michael Carrick back as soon as possible. The England international has been a major reason behind the form revival seen under Louis van Gaal in 2015. However, two back-to-back defeats – against Chelsea and Everton – have managed to put the club back in the race for the top four. They could have extended their lead over Liverpool to a healthy seven points, but as it is the Reds can reduce it to just four with four games remaining. The defeats has come at a time when Carrick has been absent from the team. England international Michael Carrick has issued a rallying cry to the Manchester United supporters by saying that the players will not allow the club’s season to derail after a 2-1 defeat against Arsenal in the FA Cup. Once regarded as a future star, it is reported that Manchester United could consider cancelling the contract of Anderson. Manchester United managed to get their third consecutive victory in the Premier League after a 3-0 win over Hull City on Saturday.